As the London 2012 Olympic Games and Paralympics draw near, we thought it appropriate to dedicate a blog entry to some of the most remarkable special needs athletes, Olympians and Paralympians of the past century. These incredible athletes have overcome seemingly insurmountable obstacles and have gone on to become some of the most inspirational figures in their sports and events. One of the most famous Paralympians of all time, Canadian athlete Arnold Boldt led an illustrious career. 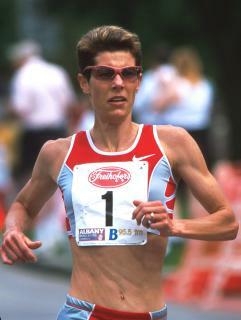 Winning a total of seven gold medals and one silver, across a total of five successive Paralympic Games, Boldt became the world’s top amputee high jumper in 1980, with a record of 1.96m that still stands today. He finished his Paralympic career in 1992, with a final gold medal jump in the High Jump A1. With an astounding 16-medal career, Grey-Thompson gives new meaning to the word “motivation.” Born with spina bifida and relegated to a wheelchair from an early age, this famous special needs athlete went on to compete in four different Paralympic Games as a wheelchair racer representing Wales/Great Britain. 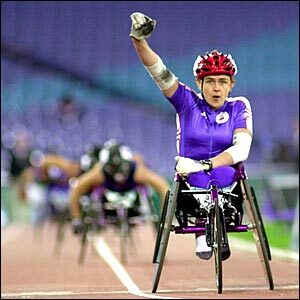 In addition to her Paralympic career, Grey-Thompson also received acclaim for her wheelchair basketball skills and for winning the London Wheelchair Marathon on six separate occasions. Want to find Tanni’s blog or follow her on Twitter? Visit her official website here: http://www.tanni.co.uk/. Other inspiring athletes and Paralympians (thanks to our Facebook fans and Twitter followers for these suggestions!) worth checking out: Shelly Woods, David Weir, Oscar Pistorius, and Jean Driscoll. These extraordinary athletes prove what we’ve always known here at SNG: a disability doesn’t hinder anyone from accomplishing tremendous feats. The 2012 Paralympics will be held in London as a part of the London 2012 Olympic Games. The Paralympic Games will include a variety of events across 20 different sports, including Wheelchair Tennis, Wheelchair Basketball, Paralympic Equestrian, Paralympic Cycling, Paralympic Swimming, Powerlifting and much more. Some truly incredible athletes will be competing! For a full list of Paralympic Athletes competing, check out the official London 2012 site here: http://www.london2012.com/paralympics/athletics/athletes/. As the Games draw near, the official site will profile all of the participating Paralympians. Are you planning to attend the London 2012 Games? Check out our blog entry (linked) for special needs travelers and accessibility at this year’s Olympics. Inspired? If you’re interested in leading a more active, special needs lifestyle, there are a variety of programs, teams and revolutionary pieces of equipment (like the Neatech Speedstar Xtreme wheelchair, pictured below) to help you get started. Take a page out of these incredible athletes’ books – anything is possible!